Home / All / Bright Colored Shoes: Here to Stay? When trends strike, it’s more than likely that shoes are either leading the charge or following suit. Either way, footwear, more so than ever, is a staple in trends and fashion, often reflecting popular non-fashion-related fads. 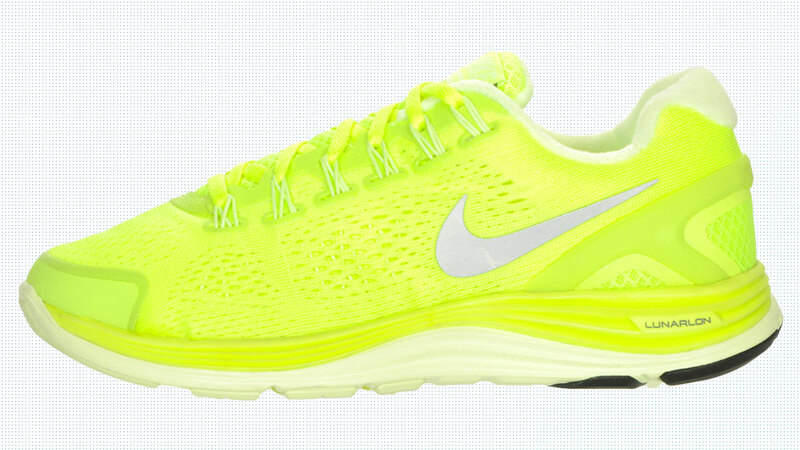 It may not be everyone’s cup of Plutonium, but bright-colored shoes are in for the time being. Check out these seemingly Life In Color (formerly known as DayGlow) inspired shoes. With most of the color ways sporting a bright base, accented with neon colors, don’t expect onlookers to turn a blind eye while you go through your workout routine in the ASICS GEL Noosa. Nike has used the Lunar™ line to showcase moonlight-like glowing color in models like the LunarGlide+ 4, which features a near-complete neon green upper that’s sure to get you noticed even during the midnight jog. Neon is in, and Saucony has acknowledged that with their Progrid Ride 5 model. With each color way incorporating a neon color in some form, they’re sure to be a hit as long as this trend is in effect.